AUGUSTA, Ga. – It took a bit to kick into gear, but once the first round of the 2019 Masters got going, it was most certainly delivered. The leaderboard is absolutely stacked after the first 18 holes with three major winners in the top five and one left-hand swinging individual making a run at his fourth green jacket. But rain and thunderstorms are in the cards Friday which could affect the festivities. Brooks Koepka and Bryson DeChambeau (-6) enter Friday with a one-stroke lead over Phil Mickelson (-5), though there are 20 golfers within four strokes of the leaders. Among that group are Dustin Johnson (-4), Jon Rahm (-3) and Tiger Woods (-2), each of whom has their reasons to be confident and focused on the green jacket on the line. Friday is also cut day, and Justin Rose and Jordan Spieth (+3) are both below that 50-man line after first-round action. 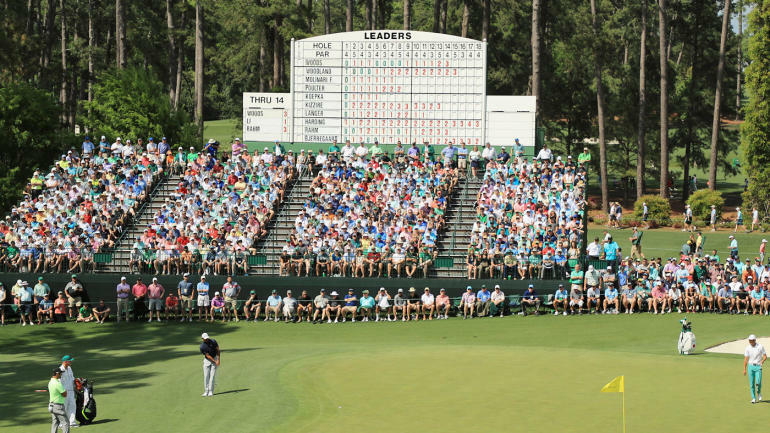 CBS Sports will be with you all the way Friday updating this story with the latest scores, analysis and highlights from Round 2 of the 2019 Masters.